Looking to employ massage practitioners and therapists with a minimum of 250 hours of education (500 preferred), CAMTC required. 1-2 years of experience are preferred. Training in Swedish, Deep Tissue, Scrubs & Wraps a plus, willing to train right person, NO more than 3 services per day. Looking to employ massage therapists with a minimum of 500 hours of education, CAMTC required. 1-2 years of experience are preferred. Training in various pain relief modalities. 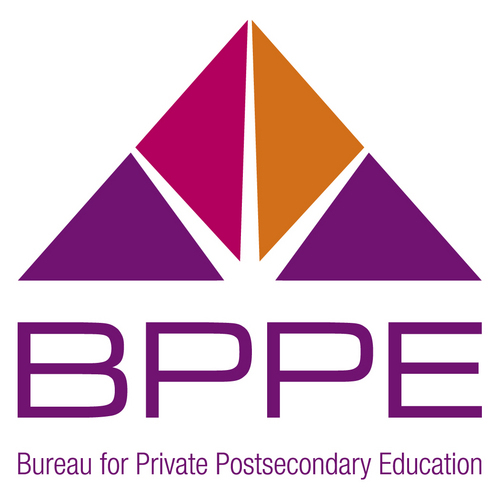 who desires to build a successful private practice or become an instructor in the field. It is designed for the serious student interested in conducting a private practice in energy-based bodywork and self-healing exercises. Click here for state by state requirements listing. *Note: Some states have additional testing or curriculum requirements. Certification is recognized by the International Institute for Medical Qigong. Does not meet the requirements for CAMTC. Our Seated Massage course imparts how to effectively address stress through compressive work on the muscles and meridians of the back, shoulders and neck. Students learn to work with clients fully clothed in a stimulating 15- minute seated massage protocol for enhancing mental clarity, relieving stress and physical tension in the shoulders, back and neck. For more details on program costs & payment plans, click here. RSVP for a Free Intro & Receive a FREE Video Massage Lesson! Looking for licensed therapists with national certification from NCTMB or a local permit to work in the spa year round at the Rusty Parrot Lodge. Candidates should have excellent communication skills, provide outstanding bodywork, and a minimum of two years experience. Excellent pay offered and commission on product sales. 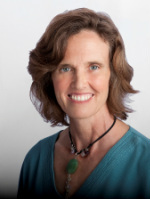 A Somatic Educator since 1986, Kathleen Mickey, is the director and head instructor of the Santa Barbara Body Therapy Institute. With dedication to excellence in education, she developed the holistic certificate programs that the school offers. Over the past 25 years, she has trained over 3,000 students in massage, bodywork, and holistic health. Her students have provided massage for over 12,000 clients in SBBTI’s student clinics. Her graduates are gainfully employed throughout the tri-county area, in all the major spas, physical therapy offices, corporate massage venues, and various private practices. 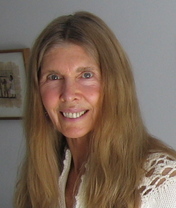 Kathleen's educational background includes: The Institute for Holistic Studies, The Santa Barbara College of Oriental Medicine, The School of Intuitive Massage, The Body Therapy Institute, The International Institute of Reflexology, The Alive Polarity Foundation, The International Academy of Holodynamics, The Upledger Institute, The Integral Institute of Tai Chi and Qigong, The Center for Nonviolent Communication, Access Consciousness, Landmark Curriculum for Living, Leadership Santa Barbara. She currently maintains an active presence in the classroom, daily school operations and a private practice. Mary Sullivan brings 34 years of body work practice to the classroom. She is a licensed Acupuncturist, Craniosacral Therapist and Registered Polarity Practitioner as well as graduate from Pacifica Graduate Institute. Her educational background includes the Alive Polarity Foundation, a Master’s Degree in Counseling Psychology and a degree from the Santa Barbara College of Oriental Medicine. 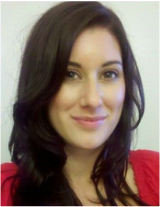 She has also had extensive training through the Hugh Milne Institute in Craniosacral Therapy. She maintains a busy private practice as a licensed acupuncturist and bodyworker in Santa Barbara, Fresno and North Fork. Thai Chi and Health Instructor since 1998. Body worker, and Medical Qigong Practitioner. Nell Craig was introduced to acupressure and Chinese systems of healing eighteen years ago during her martial arts, Tai Chi and Qigong training. She has earned a second-degree black belt in Kyusho Jitsu Karate, the art of pressure point fighting. The requirements for this rank included an in depth study of TCM principles, acupressure points, related meridians, applications for healing, and restoring Qi flow in the body. She has a Bachelor of Science degree in Nutrition from Arizona State University, and has worked in the community as a health educator, Tai Chi, Qigong instructor, and coach for weight management programs. Nell currently maintains a private Acupressure and Shiatsu practice. Course Description: This 20 hour course will introduce and explain the basic principles of acupressure massage and provide students with applications for their practice and use. Acupressure is an ancient Chinese healing art that utilizes finger and hand pressure to stimulate specific points on the body, which release muscular tension, increase blood circulation, and improve the flow of the body’s Qi, vital life force energy. 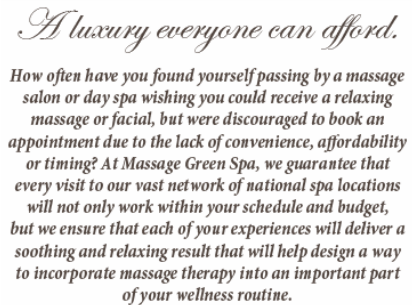 "Massage Envy Spa of Santa Barbara and Goleta are consistently hiring California State licensed Massage Therapists to help with the increasing demand of massage services that are needed and desired in our community. Our business is growing and we are seeking committed and talented new hires. We have had great success with new hires from Santa Barbara Body Therapy Institute and enjoy our continued, successful relationship with them. We welcome all SBBTI graduates to apply! We offer full time and part time positions, health insurance and continuing education opportunities." "We are consistently hiring therapists year round. We could easily hire 20 more therapists in our 5 Tri-County locations. The graduates that come out of Santa Barbara Body Therapy Institute are the most well-rounded, possess the best techniques and draping of all the graduates from schools in the Tri-Counties." Massage Envy offers job placement opportunities for SBBTI grads following certification. We welcome seasoned therapists and talented new graduates for full-time and part-time work who love what they do and value the opportunity to continue to improve their practice in a busy and supportive environment. Working as an employee instead of an independent contractor means tables, lotions, linens, scheduling and advertising are taken care of so that you can focus on what you love: Building solid therapeutic relationships with clientele, growing as a therapist and providing quality bodywork. Course Description: Join us for an introduction to Swedish Massage, the most commonly taught style of massage that you will find in the spa setting. Learn about the foundation and the benefits of this art and experience its many benefits. Discover some techniques that you can practice with your family and friends. Santa Barbara, Goleta, Ventura, Oxnard & Camarillo! Looking for massage therapists to work in our beautiful resort spa located in Goleta, CA. Therapists should have a 500 hour CAMTC license and at least one year of experience in Swedish Massage and Spa Deep Tissue. Sponsored by Massage Envy, and the Santa Barbara Body Therapy Institute; this award gives financial assistance to either prospective program students who have completed at least one 20hr course or current students who exhibit exceptional performance and are experiencing a financial hardship. The contribution of $400, covering roughly one month toward tuition, will be awarded by a lottery involving all qualified applicants on a quarterly basis. Highly motivated student who is current and in good financial standing with the school. To apply: Write an Essay about yourself, min of 200 words, that describes your current bodywork pursuits, interests, and ideas about holistic health. 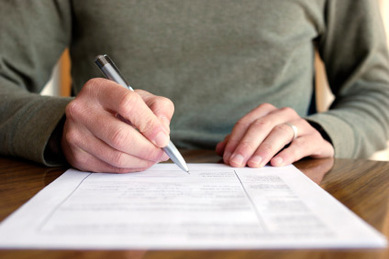 This writing of self-expression should outline your experiences around bodywork, and can include client testimonials. Essays may be posted on our web site and used in our newsletters to share with the public and fellow students. Massage for Athletes, given by an Athlete: Sonia delivers an amazing rehabilitative massage that will release the muscles and help athletes and sports enthusiasts up their game. Specializing in sports massage, Sonia, a massage instructor and national champion cylist, offers years of massage experience and practice to top athletes in the LA and Santa Barbara area. Course Description: Medical Qigong is an ancient Chinese energy healing modality designed to address physical and energetic imbalances on a different level. Learn basic principles of Traditional Chinese Medicine and how you can Integrate them into your practice. Practice self healing exercises for establishing exceptional well being in the body, mind and spirit. Course Description: Essential oils are highly concentrated, precious oils within plants that offer healing on all levels of body, mind, heart and soul. Enjoy our introduction to the properties and applications of Essential Oils. Find out more about the history behind their use and learn some basic oils that can be applied to healing body imbalances. In this intro course you will be introduced to several of these precious oils and learn about their uses. Course Description: Join us for an introduction to the art of foot massage and learn about the history of its development and the profound effects that it can have on the organs and body systems. Students will be introduced to principles and techniques that enhance organ and gland function and support the body’s exit strategy for metabolic wastes and foreign pathogens. Join us and explore this effective tool for stress management. Course Description: Join us for an introduction to the art of foot massage and learn about the history of its development and the profound effects that it can have on the organs and body systems. Foot reflexology involves distal stimulation on the feet to release metabolic wastes in the tissues that impede the flow of blood, lymph and chi to the vital organs, glands and lymph nodes. Students will be introduced to the body's electromagnetic energy grid through the ten zoned or bipolar currents and affect change anywhere in the body with sustained contact on the feet. Course Description: As humans we need or desire what massage has to offer: pain relief, relaxation and the touch of another human being. This is not a new concept. History shows us that these are part of the basic set of needs along with eating, breathing and sleep. This is the first in a series of classes designed to help you better identify those needs and how to offer and receive from the person you’ve chosen as your partner. Learn shared regular self awareness with your partner through the art of massage and enhance your relationship. Course Description: This Course introduces the student to Medical Qigong self-healing exercises for establishing exceptional well-being in body, mind and spirit. Medical Qigong exercises will be taught that help the body correct physical and energetic imbalances. The exercises strengthen and regulate the internal organs, nervous system and immune systems as well as relieve pain, regulate hormones and release deep-seated emotions. Students will learn the basic theories of energy tonification, purgation and regulation of the body's organs and energy channels, as well as strengthening the body's protective energy field (Wei Qi). We will learn the five elements massage techniques and how to analyze the Qi flow through the body. Course Description: Essential Oils are a tremendous support in times of stress. The oils enter directly into the blood stream when applied to the skin and across the blood /brain barrier directly into the lymbic system of the brain when inhaled. Essential oils are highly concentrated, precious oils within plants that offer healing on all levels of body, mind, heart and soul. Essential Oils can be used for daily tune ups between massage sessions as well as energetic enhancement during sessions. Course Description: This 20-hour course offers reflex techniques for vitalizing the whole body with emphasis on restoring balance to the Bipolar Currents, Nervous and Endocrine Systems. Reflexology involves distal stimulation on the feet, hands or ears to release metabolic wastes that impede the nerve terminals in the tissues. The Nervous System may be likened to the electrical system of the body. Clearing congestion in the nerve terminals of the feet allows the body to make contact with the electricity or negative electrons in the ground and atmosphere that help power the organs and glands. Coupled with earthing practices and dietary measures, reflexology can dramatically reduce pain and inflammation, enhance vitality and address an assortment of stress related pathologies. Course Description: This 20 hour course offers effective techniques for activating lymphatic drainage and detoxification utilizing reflexive pressure to the feet. Students will learn traditional Reflexology techniques to enhance organ and gland function and support the body's exit strategy for metabolic wastes and foreign pathogens. Foot reflexology involves distal stimulation on the feet to release metabolic wastes in the tissues that impede the flow of blood, lymph and chi to the vital organs, glands and lymph nodes. Students will learn to interface with the body's electromagnetic energy grid through the ten zoned or bipolar currents and affect change anywhere in the body with sustained contact on the feet. Course Description: As humans we need or desire what massage has to offer: pain relief, relaxation and the touch of another human being. This is not a new concept. History shows us that these are part of the basic set of needs along with eating, breathing and sleep. This class is designed to help you better identify those needs and how to offer and receive from the person you’ve chosen as your partner. This course promotes shared regular self awareness with your partner through the art of massage. Students are introduced to enhanced connection modes and basic bodywork techniques through sacred space communication and body mechanics that will ensure you can massage your partner for an hour or more.